Just two opportunities now remain to ensure your organisation is one of those helping to shine a light on the region female business champions as a category sponsor of the 2019 Tees Businesswomen Awards. 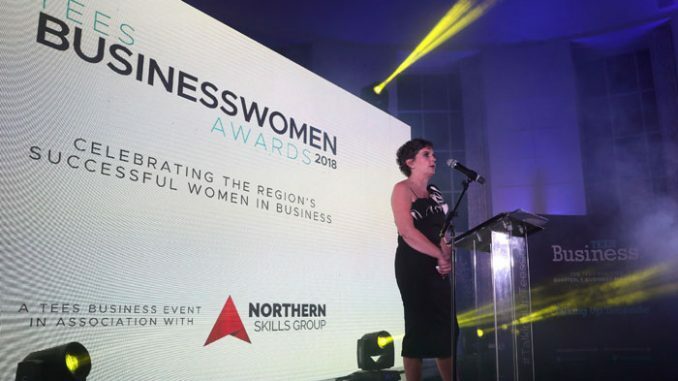 Celebrating the region’s successful, innovative and inspiring female businesspeople and female-inspired businesses, the prestigious awards – with Northern Skills Group as headline sponsors – will inspire a new generation of Tees businesswomen. There are five company categories and five individual categories – and all but two of them have now been sponsored after organisers secured their latest category sponsor in recent days. But there’s still time to be part of an inspiring evening of success at the Tees Businesswomen Awards, which will this year take place in Wynyard Hall’s Grand Marquee on the evening of October 24. We’re looking for an organisation to sponsor the prestigious individual award for Lifelong Inspiration, which in 2018 was won by the amazing Anne Preston of Prestons of Potto. And sponsorship of the Charity/Voluntary category that was last year won by Middlesbrough-based charity, the Halo Project, also remains vacant. Sponsors so far are: Businesswoman of the Year – Teesside University; Breaking the Mould – Developments by Joseph Homes; Inspiring Others – SABIC; Best Newcomer – RMS Recruitment; Business of the Year – Cornerstone Business Solutions; SME of the Year – Punch Robson Solicitors; Training & Apprenticeships Award – px Group; Best New Business – to be announced. Last year’s inaugural awards attracted more than 100 entries – from pie makers to undertakers, from 20-somethings to 80-somethings, from funky new start-ups to some of the region’s most respected, long-established businesses. And entries are now open for this year’s awards for those hoping to follow in the footsteps of Tees Businesswoman of the Year Claire Preston, Inspiring Others winner Yasmin Khan and SME of the Year Hunters Estate Agents. Download a Media Pack by clicking here. Find out more and enter a category by clicking here.